When you plan your menus with JAMIX KITCHEN MANAGEMENT software you will always know what to cook and when, how much you need to cook and what it will cost you. 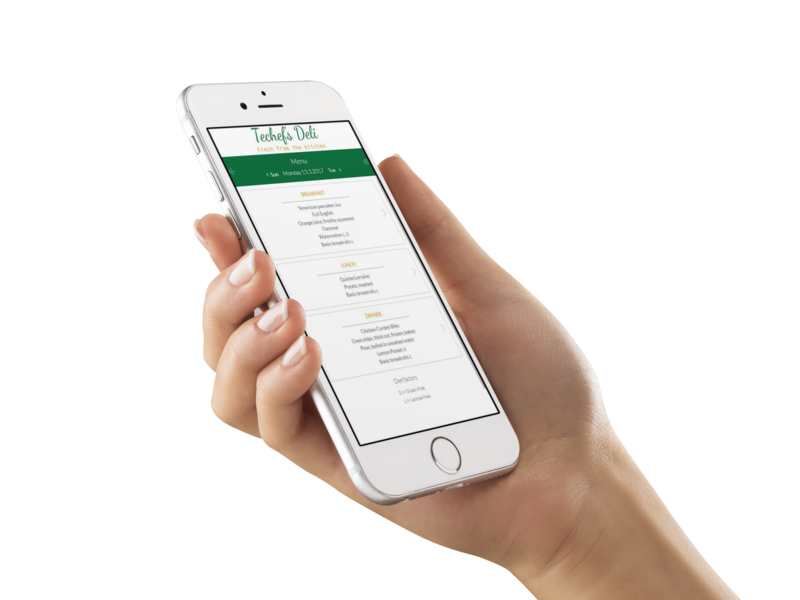 Information on allergens and nutrition facts runs through the system accurately as well as prices for automatic menu costing. All ingredients are linked to purchase product which allows JAMIX software to build automatic and electronic purchase orders to suppliers based on your menu. You can share your menu online to your customers effortlessly with a single click on your mouse. You can build menus with several meal options and add your recipes just by dragging and dropping them into weekly calendar. The program automatically calculates nutritive values and menu cost, and provides you with information on food allergens. You can change the amount of diners on the menu and the recipes will be updated automatically accordingly. Automatic publishing of menus to your customers on your web site or to our unique JAMIX MENU Mobile Application ensures that your menu is always in sync with the kitchen. Information published includes prices, ingredients, allergens, nutrition facts and optional carbon footprint for food with comparative values. All ingredients on your recipes and finally on your menus are linked to purchase products. Once you have completed your menu the program automatically creates a purchase order based on the need for ingredients. You can then send purchase orders electronically and directly from JAMIX software to your suppliers. JAMIX KITCHEN MANAGEMENT software keeps you in control of food waste. Accurate shopping lists based on portion sizes and the amount of diners make it easy to order just the right amount of ingredients in order to reduce wastage of ingredients. Utilizing the menu plan in the production makes it easy to prepare just the right amount of food in order to reduce wastage of prepared food. Wastage Sheet functionality enables you to still optimize the amount of prepared food as you can register sales and wastage data to ingredients and recipes on the menu. Less wastage means less costs, as well!